Your first dance is one of the most memorable parts of your wedding day – for you and your guests. The bridal waltz is one of the last moments of the night, when all eyes are on the bridal couple – and like many other key elements of the wedding and reception, the first dance has become a personalised reflection of the bride and groom themselves. If you want to create magic, a Bubble Dance is the perfect way to do it! 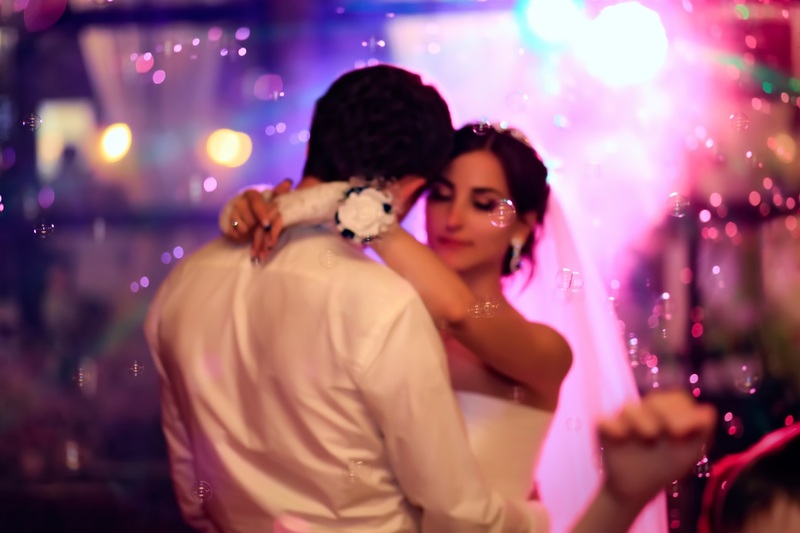 A new and increasingly popular trend in bridal dance themes, Matt can have bubbles fall from above to create a beautiful, magical effect during your special dance. Using a bubble machine hanging from a lighting stand, the bubble dance can be combined with dry ice, or used on its own. Matt can help create your dream dance with beautiful music, romantic lighting and stunning effects. Features such as bubbles and dry ice are all included in his wedding packages at no extra cost! Whatever your individual style and first dance wishes, Matt will work with you to create the exact wedding entertainment package you’re after!